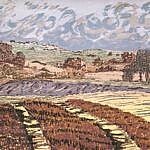 Sally’s monoprints are created from remembered impressions caught during regular walks as well as water colour studies. 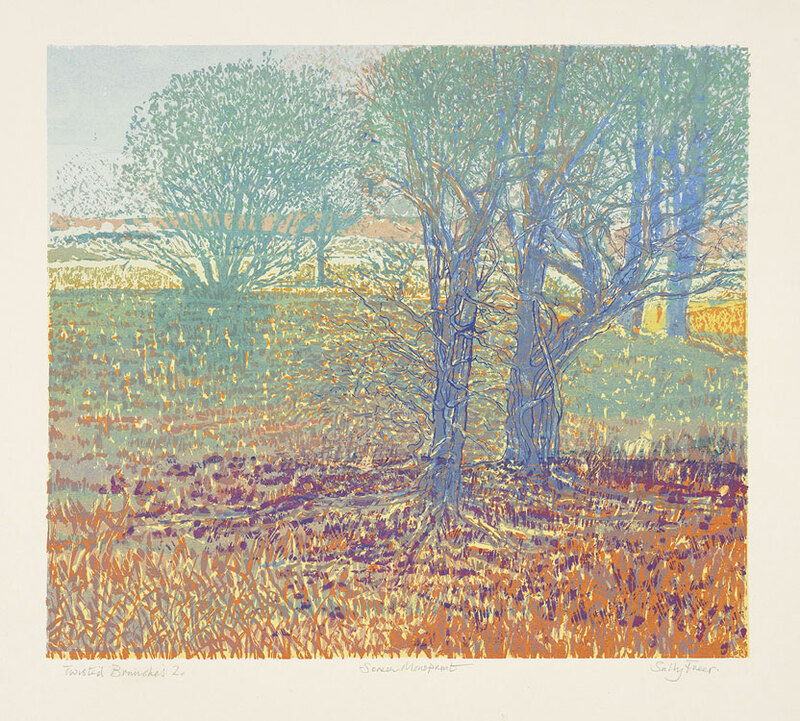 Her prints capture intricate hedgerows, ancient forests’ winding pathways, patterned fields coastline and waterways recorded throughout the seasons. The images are concerned with intervals of light and visual sensation. 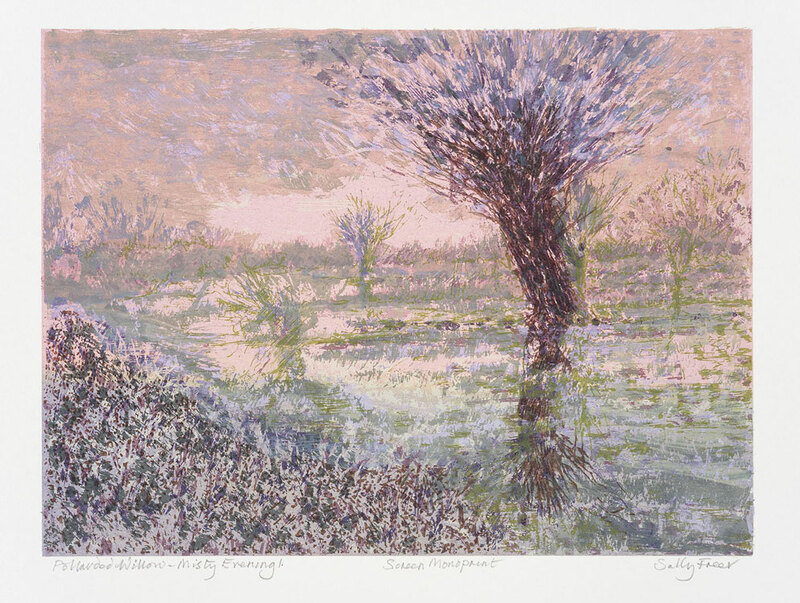 Each monoprint is a unique image printed on heavy Fabriano paper. 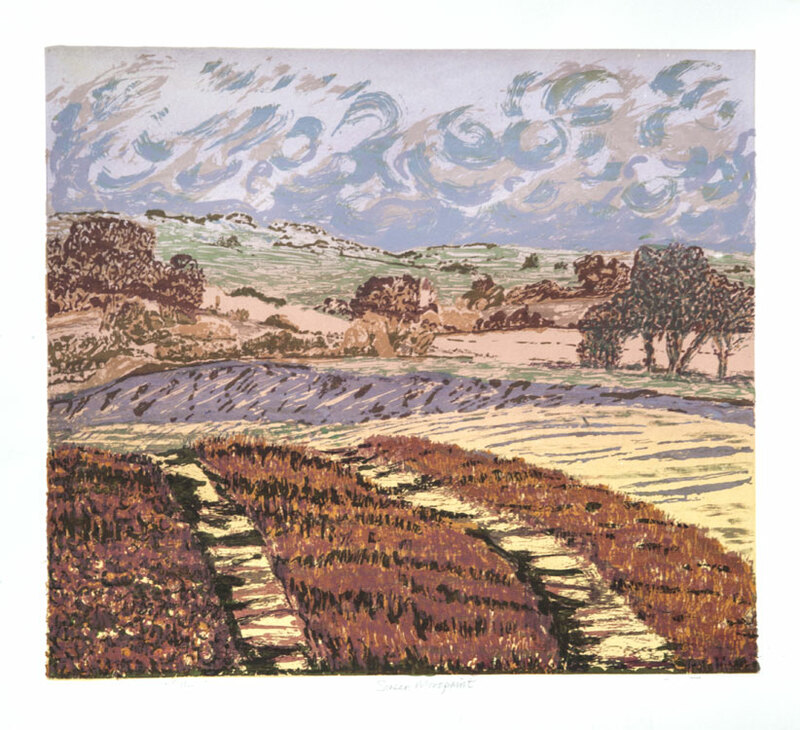 Runs consists of between 6/8 prints each with different colours – hence monoprint. 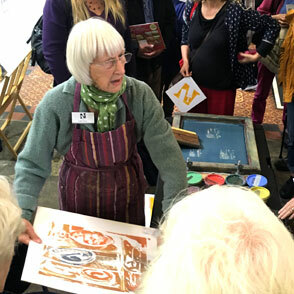 The first process uses a Perspex plate to produce a Relief Print. The plate is inked up with up to five colours. 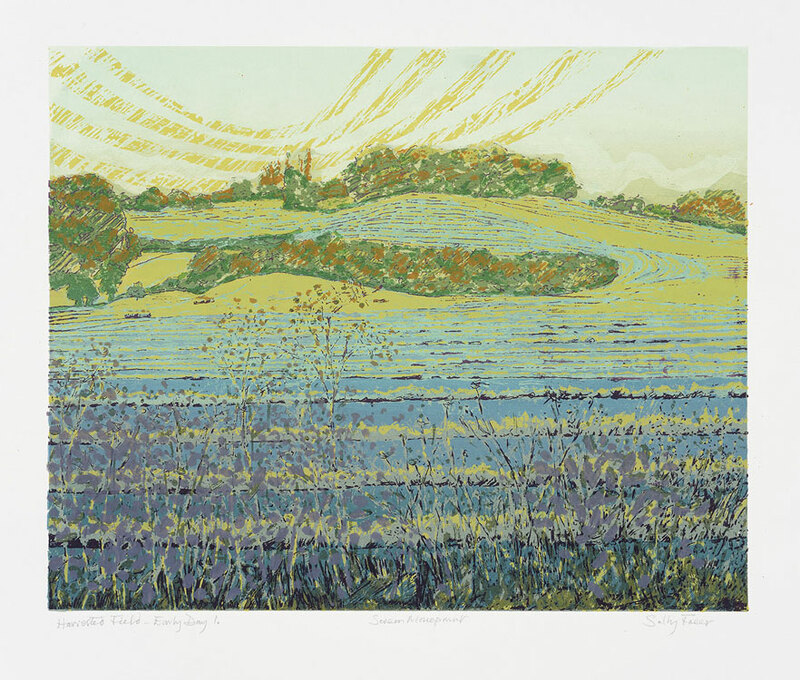 The image is then overprinted with a further five colours. 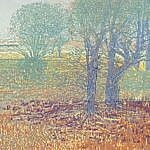 Monoprints are the outcome of this variability. The second process consists of building the layers of colour using several over laid Screen images. For each ‘pull’ across the screen several colours are placed directly in position. Each ‘pull’ will have a variation where the colour might be placed. 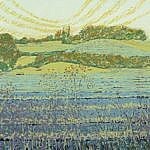 Some monoprints have a combination of both processes. 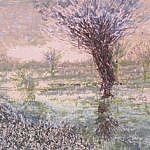 Email: For our artists privacy & reduce Spam, please contact Sally Freer via our web form.